The sun was shining in Edinburgh, yes I know, in Edinburgh, in November - as made my way over to Corstorphine for Susan's wedding preparation. 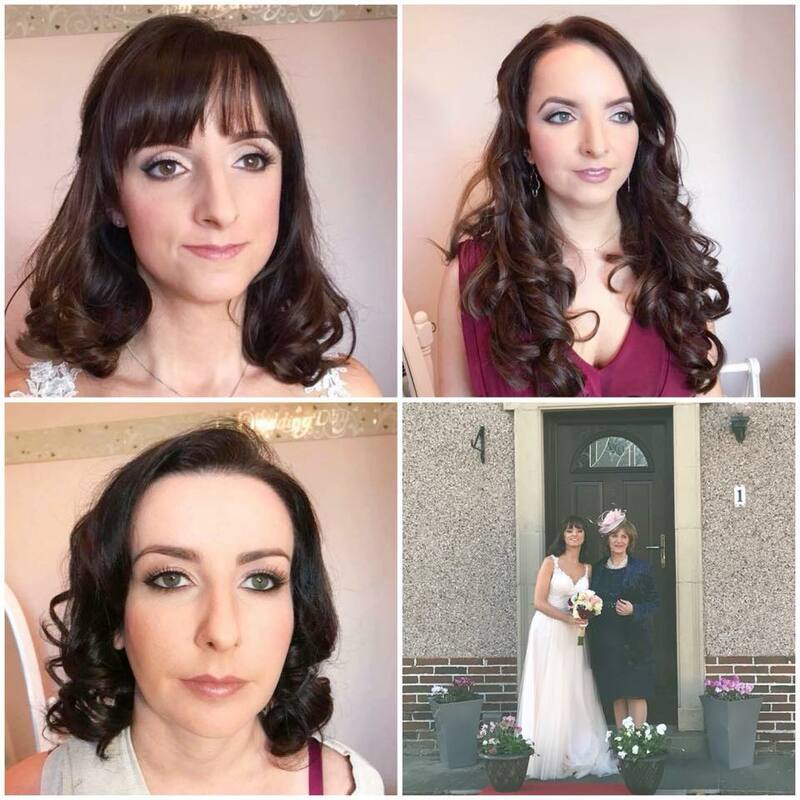 I was booked for 6 makeup applications, including an appointment for bridesmaid Carla, who kindly recommended me following her previous stint as a bridesmaid for the lovely Kirsty in Dunkeld. Thank you Carla. Susan opted for a glam but subtle look following a bridal makeup trial in my makeup and hair room my flat in central Edinburgh. To create Susan's look I used lots of soft brows and golds, with a cute flick liner and wispy lashes. A side note - thank you to lovely mother-of-the-bride Janette who went all out to make the bridal preparation super fun. I had the best set up room with plenty of light, a dressing table and even a snack trolley - what a star! On leaving I noticed Susan's parents had added a little red carpet for sister Ali, Susan and Carla to make their way to the bridal car. Such an nice detail for adding a little extra sparkle to a special day. Hope a fabulous time was had by all!